Transcendence Yoga: behind the scenes it’s just me! At a Transcendence Yoga class you’ll get me, Gary, and my expression of the powerful teachings I regularly receive from my incredible yoga teachers and mentors. The name and logo are there to reflect my intention and my values about yoga. I’m not trying to be something I’m not. I don’t pretend to be a vast organization that can offer everything to everyone. 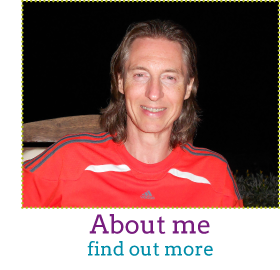 I prefer the boutique approach: personally sharing my joy of yoga and how it can help us explore who we are. I’ve always had a fascination with the mystery of life and I first experienced the profound effects of meditative body and energy work in the early 1990s. Yoga is my passion; my spiritual practice. From my first yoga class I was hooked and I soon began a regular daily practice and thirsted for more. To deepen my practice, in 2009 I started Iyengar-inspired yoga teacher training with Ruth White, which is due for completion during 2012. In the Spring of 2010 I began Sun Power Yoga Teacher Training with Anne-Marie Newland. This experience was transformational and I have been teaching regularly since qualifying in 2010. Since September 2010, I have regularly taught yoga in schools, leisure centres, and public classes across the West Midlands. I enrich my practice through regular workshops and training with renowned teachers such as Anne-Marie Newland, Ruth White, David Sye, Liz Lark, and Bridget Woods-Kramer. 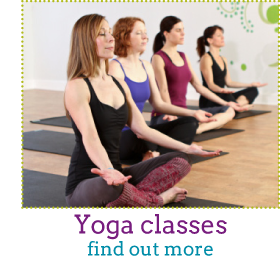 I have also completed Vinyasa Flow Yoga Foundation Training with Claire Missingham. I am currently qualified to CYQ/REPS LEVEL 3 & Yoga Alliance 500 hours, a Sun Power Yoga Instructor and a Certified Om The Ball (Yoga on the Ball) Instructor. My approach follows the essence of the Sun Power Yoga philosophy, blending elements of styles to provide a fun, challenging, and nourishing experience for the mind, body and spirit! In March 2013 I completed the Yoga Alliance Accredited 200 hours Anusara Teacher Training with Bridget Woods-Kramer. This dynamic expression of yoga has powerful and elegant alignment principles that make this style joyful, fun and heart-opening. As a ‘local lad’ I’m proud to serve my local Black Country community. If you’re looking for yoga in Wolverhampton, Sedgley, Dudley, Walsall or nearby areas, I look forward to seeing you out there!